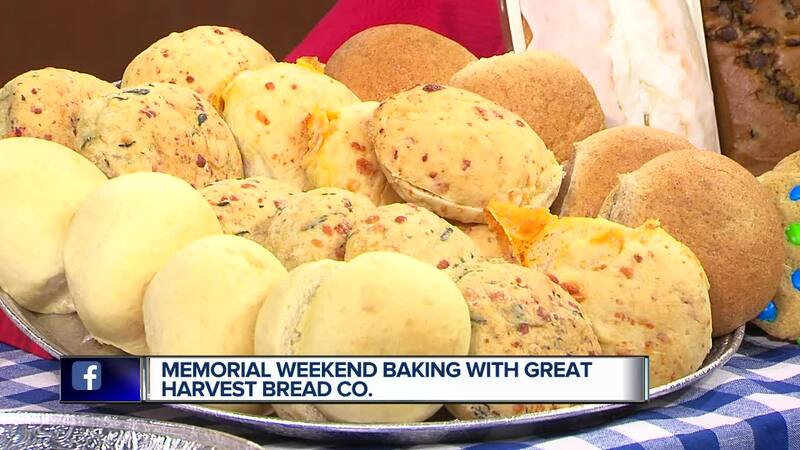 Great Harvest Bread Co. is a farm-to-table bakery-café offering fresh, made-from-scratch bread, buns and desserts items you can serve at your next cookout. Red, White and Blueberry Bread - White bread, filled with cherries, cranberries and blueberries, for the perfect, patriotic summer treat. Bacon, Cheddar and Beer Bread - Whole wheat bread, baked with cheddar cheese, bacon and a locally sourced beer or ale, that can be easily thrown onto the grill and paired with burgers or sandwiches. Cheddar Garlic Hamburger Buns - Create a flavorful twist on a classic burger, by topping it with these gourmet, savory hamburger buns. Savannah Bars - Enjoy a cobbler/fruit bar dessert combination, made with whole grain flour, rolled oats and a coconut pastry crust, topped with fresh fruit, including strawberries, blueberries and/or peaches. Lemon Bars - Pucker up! The perfect combination of sweet and tangy flavor makes this summer dessert irresistible.